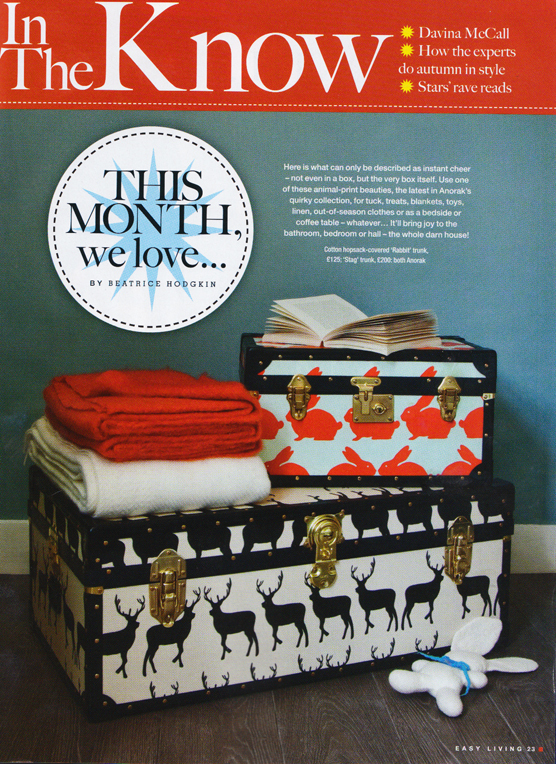 Beatrice Hodgkin from Easy Living loves our new range of storage trunks. So she featured them in the October edition. Thanks a million Beatrice, we love your picture! 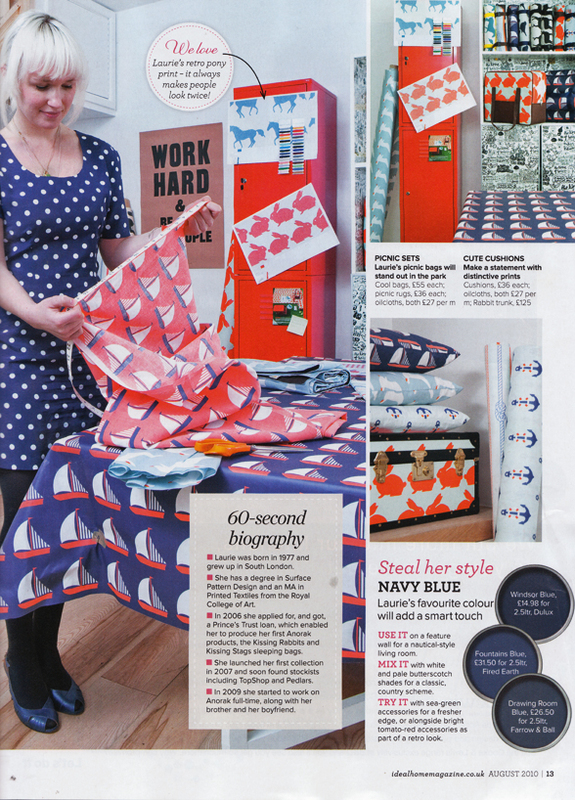 A great feature on Anorak in the August issue of Ideal Home Magazine. If you don’t fancy grabbing a copy, here’s some pictures for you. You’re sure of a big suprise. That’s right Anorakers, the ropes & boasts collection has landed its first press pieces of the year. 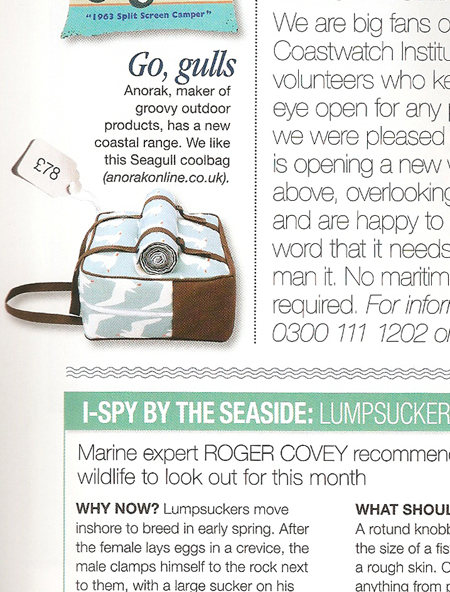 First up for your perusal is this week’s Heat magazine where you can see our ropes weekend holdall. 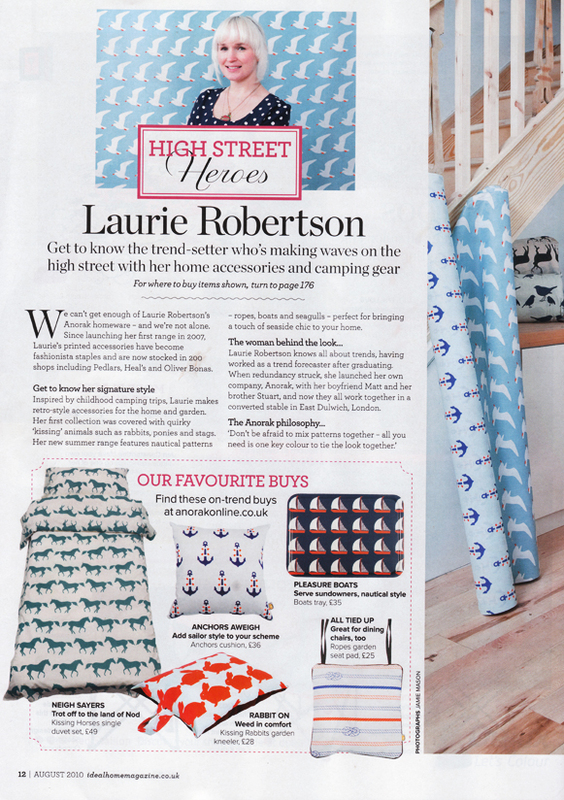 The second is this month’s Coast magazine where you can see our seagulls coolbag and matching picnic blanket. If you don’t fancy shelling out your hard earned pocket money on the publications, here’s the cuttings for you to check out. We’re very pleased about this piece in the telegraph about our new weekend holdall. They’re not available just yet, but we’ll let you know as soon as they arrive in stock. They’re also available to pre order here.